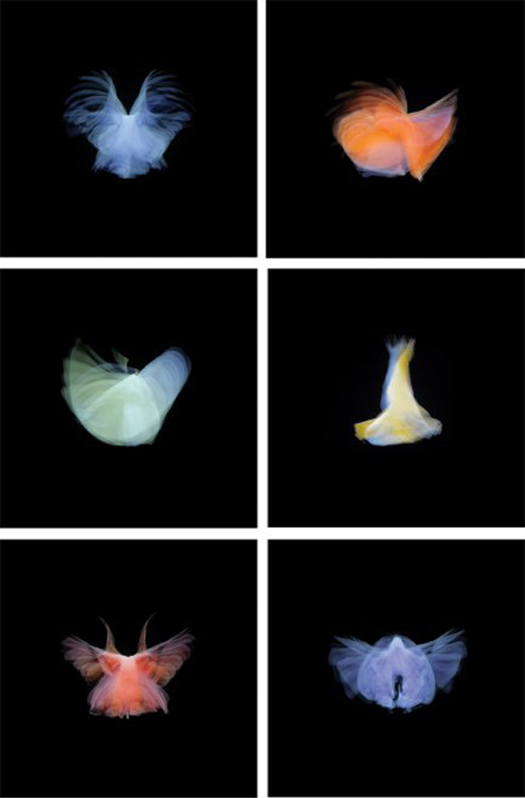 i8 Gallery presenta la primera exposición individual del trabajo de Elín Hansdóttir, denominada "Trace", esta basa en el trabajo de la coreógrafa americana Loïe Fuller (1862 a 1928) y el clip de película de danza de los hermanos Lumiere. 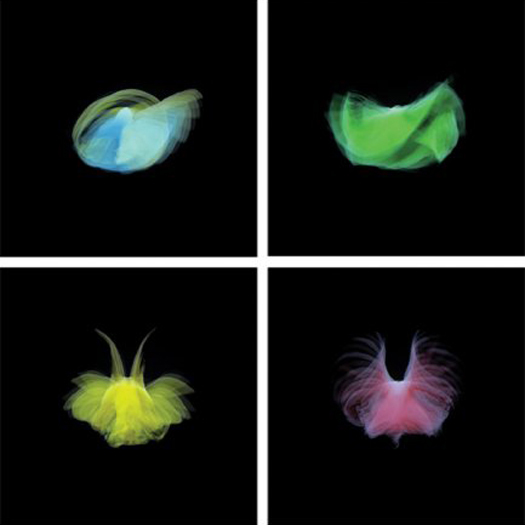 i8 Gallery presents the first solo exhibition of work by Elín Hansdóttir, it's called "Trace" which is based on the work of the American choreographer Loïe Fuller (1862-1928) and the Lumiere brothers movie clip of the dance. Hansdóttir has divided the exhibition space with a liporello wall. In the bright front she exhibits on the one hand colour photographs which reveal a certain motion in time (just under one second), and on the other black and white stills of discrete moments (a few fractions of a second). 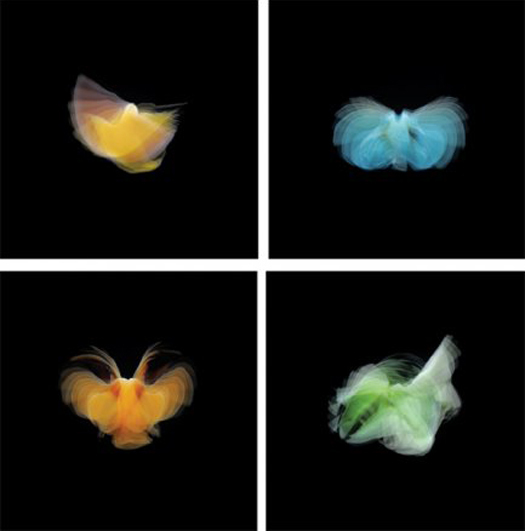 What the images have in common is how they reveal the eternal flux of a metamorphosing form, which otherwise (without the motions of the body) would simply remain static. More info here.